We offer free in-home heating/cooling consultation to learn more about the different options available and which is best suited to you and your home. When the heat of spring, summer, and early fall comes rolling in, it's nice to have some type of cooling system in place in your home to be able to beat the heat and refresh the indoor air. A central air conditioning system is the premium cooling solution for your home or office. It is the quietest, best performing and most comfortable. Since air conditioning represents an average 2% of household energy costs, it is important to clearly identify your comfort needs before buying an air conditioning unit and to choose a system generating high energy efficiency ratings. Air conditioners employ the same operating principles and basic components as your home refrigerator. An air conditioner cools your home with a cold indoor coil called the evaporator. The condenser, a hot outdoor coil, releases the collected heat outside. Have peace of mind and be covered of unexpected repairs throughout the year. Hot, dry summer days and windy, sand-blowing winds helped cake the fins of the condenser and lessen the cooling capacity. To keep the central air conditioner working properly, regular maintenance is required. This includes replacing filters regularly, oiling the fan motor, and keeping the parts clean and free of debri. Contact us to arrange for an annual preventative maintenance plan for the upcoming year. Do you know what's in the air you breathe? Even a well-ventilated, well-maintained house can contain a variety of allergens, airborne particles and chemicals. 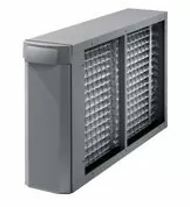 Filters help to catch a variety of air particles such as household dust, pollen, odours and many more while maintaining excellent air flow. 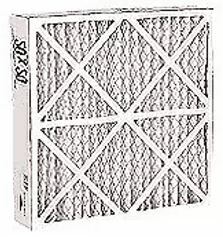 All-Air has on hand the most common sizes of filters and can order for you the size and type you may require. You may want to optimize your indoor comfort and preserve the health of your family by adding a high performance media air cleaner. 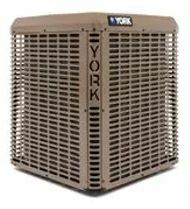 All-Air can outfit your existing air conditioner or Heat pump with a Hepa filter which will remove over 99% of airborne particles from the air that passes through it.